We want to be allocated an iconic W or Z class tram and get it sunk as a destination for snorkellers, freedivers and scuba divers at a suitable location in Port Phillip. Yes, this time inside the bay! You shouldn't have to travel to Queensland to see an iconic Melbourne Tram underwater. It's about time we had one here in our great bay. 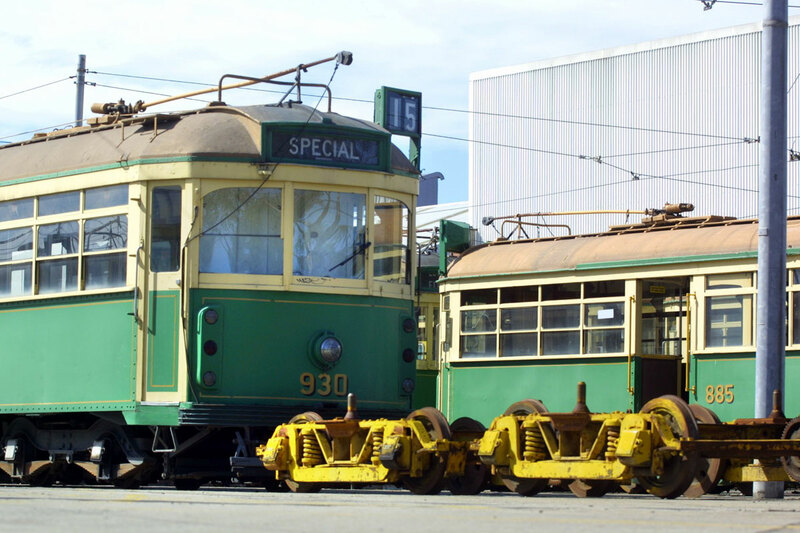 The Victorian Government are about to gift and sell off 134 retired trams and we'd like to get one. See https://victrack.com.au/trams for some details. Online applications open on Monday, 28 May 2018 and we'll be ready. Then we'll need to campaign in every way we can to get this proposal front and centre with state politicians, various government departments and local councils. We already have one state MP prepared to help in any way he can, but the more support we can muster the better. If you're able to help in any way with any of this, please let us know via an email to info@vars.org.au. Please sign our petition. Please show the state authorities there is wide community support for our proposal. Please like and follow our VARS.diving Facebook page his page to keep up-to-date with what's happening. It's an election year and the hope is we can get the government to cover all of the transport, preparation and sinking costs. We need a site that has easy access for snorkellers, freedivers and scuba divers. For safety the site would need a surface buoy to mark it, as is done on other government artificial reefs. No doubt the site would be declared a marine reserve and hopefully we'd later be able to enhance it with statues, sculptures and other artificial reef habitat. Initial thoughts are that the area known as Elsa's Reef, about 40 metres off Rye Pier, in 7 metres of water, would be a most suitable site. (A bit further out there is 9 metres depth.) It's a very attractive location given it's not subject to extreme tides and currents, plus already has good amenities available nearby. It's accessible from the shore, pier, boat and even a paddleboard. Plus the area already has a proven track record as a safe dive site. But we're open to other suggestions.